In the first book I released three years ago (currently out of print) I referred to several films of note in terms of patterns that deserve our attention, one of which was I Robot, starring Will Smith. There was a particular scene in that film that has a great deal of meaning for us now that shouldn’t be overlooked. Will Smith played the character of a futuristic detective with severe trust issues regarding semi-intelligent robots living in almost every home at the time. His distrust and the “semi-intelligence” were intimately connected. When he begins to pressure his boss more and more to consider that robots might be killing people, his boss replies that he’s “going to miss the good old days then”. Upon inquiring what was meant by that statement, his boss explains that the good old days represent a time when people killed people. Why is this important? Below is a video that represents marketing genius when it comes to portraying police/military drones in an adorable and cutesie kind of way, but they are nothing of the sort, I can assure you. Yet they look so neat when they all fly in formation, flashing their pretty lights for us in all different colors at the same time! Of course they do—how else are your controllers going to be successful at getting to you accept these machines as a “normal” part of your reality? Drones are a gateway technology leading to more technopathic abuses, and a most blatant example of the “all-seeing-eye” if there ever was one. If there’s anything meaningful left to say on the issue that isn’t at the very least already implied at one level or another, I have not discovered it. Whatever we cause or allow to be done to others, be it good bad, always comes back to us in the end. This is no different. 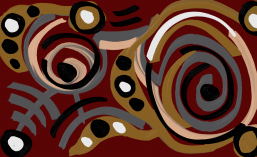 ← PAINTING WITH TOO BROAD A BRUSH III: Cognitive Dissonance & Detachment or Spiritually Enlightened? I just got through listening to you on the Monkey show. I found it looking for conspiracy theories regarding the Connecticut massacre. Long story short, I read something you wrote and followed the links. I am Glad I did. That is chilling – I thought of minority report when I saw the stories come out about the tiny insect robots with nano technology ..People think its * far fetched * Or they bend the knee at the altar of the technology Gods .. I always think how can that be used as a weapon because invariably they are , that film also alluded to so much like remote viewing and playing with time .many other clues to the possible future ..